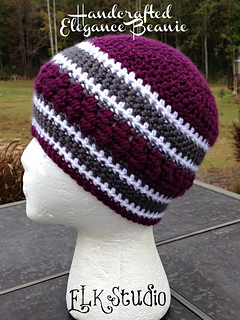 Adult 20"-21" and Adult 22"
You will love the Handcrafted Elegance beanie! It’s fairly quick to work up and had just a touch of texture to make it stand out! Don’t forget to look for the matching scarf too! It’s an accessories galore party!